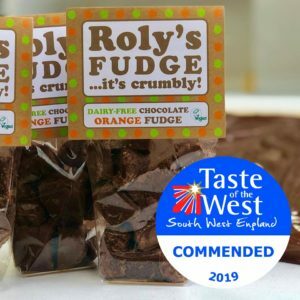 Roly’s Fudge continued to impress judges at the Taste of the West Awards last week. Since 2009, we have consistently excited judges with both our new and traditional flavours and this year’s 13 winners now bring our awards total to an amazing 58. 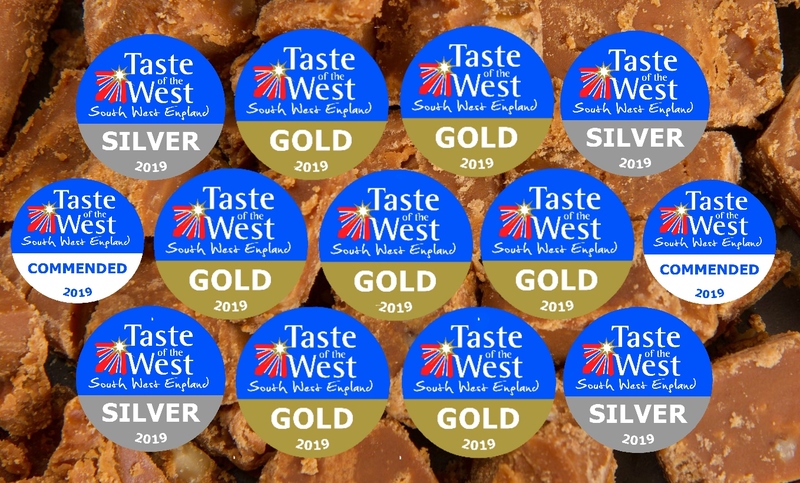 We have been working with Taste of the West for a decade now and their criteria for winning products involve “assessing its appearance, aroma, texture, packaging and, most significantly, its taste”. 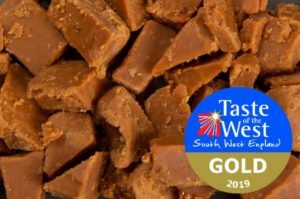 So we’re delighted that our fudge has satisfied the judges, winning an unprecedented 7 awards within the Gold standard! Whilst we are pleased that our long-standing award winners Roly’s Vanilla Clotted Cream Fudge and Roly’s Sea Salt Fudge remain as firm favourites, it is also promising to see some new flavours achieve the same accreditation. Roly’s Vanilla Clotted Fudge remains a firm favourite of the judges! Roly’s Raspberry and White Chocolate Fudge is one of our new flavours that has won over judges this year; if you want to taste for yourself how good this flavour is, you can find it in our fudge pantries across the country and online here. If you prefer more traditional flavours, Roly’s Butterscotch Fudge, Roly’s Ginger Fudge and Roly’s Coffee & Cream Fudge have all won for the first time this year and we are happy that they are now deemed to be a gold standard, just like we have always seen them to be! Again, we are over the moon that our new flavours Roly’s Strawberry & Champagne Fudge and our new dairy-free product Roly’s Dairy-Free Vegan Chocolate Orange Fudge are included on the awards list. 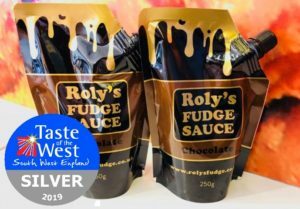 Our Roly’s Chocolate Fudge Sauce was also highly commended in a category of its own this year, another achievement we are extremely proud of. We spoke to director Dannee McGuire who said “It is fantastic to see both old favourites and new varieties winning awards at Taste of the West this year. Flavours like Butterscotch and Ginger have long been in the hearts of Roly’s Fudge, and it is nice to see them get the recognition they deserve”. Thank you to all of our Roly’s Fudge fans for making this possible! It is looking to be a very exciting year for all of us here and we can’t wait for you to try our new flavours. We hope you like them as much as the judges! We have now won 58 awards over the last decade, please visit rolysfudge.co.uk/awards for the full awards.